The good luck tale of an urban Gulf Fritillary caterpillar. 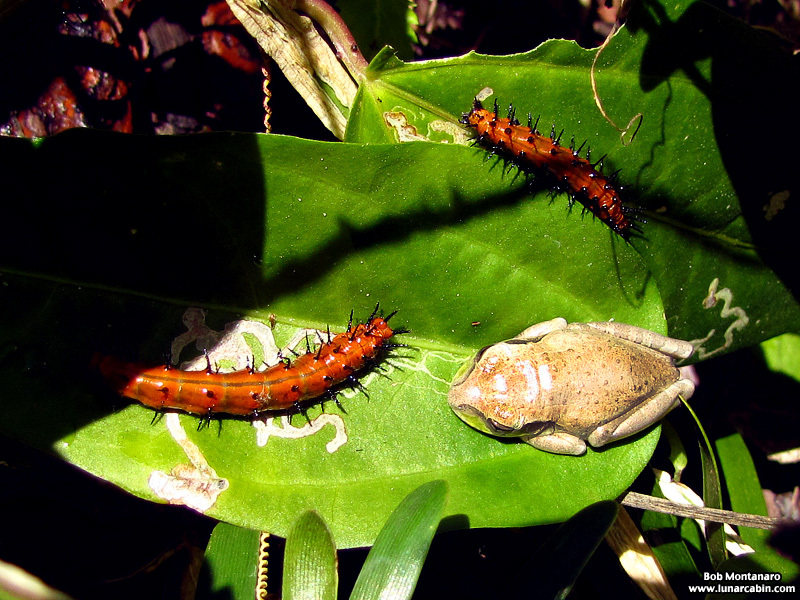 A couple of Gulf Fritillary caterpillars and a Cuban Treefrog in a mix of plants that include the Fritillary’s host plant, the passionflower vine, next to a well-travelled walkway at Audubon House. 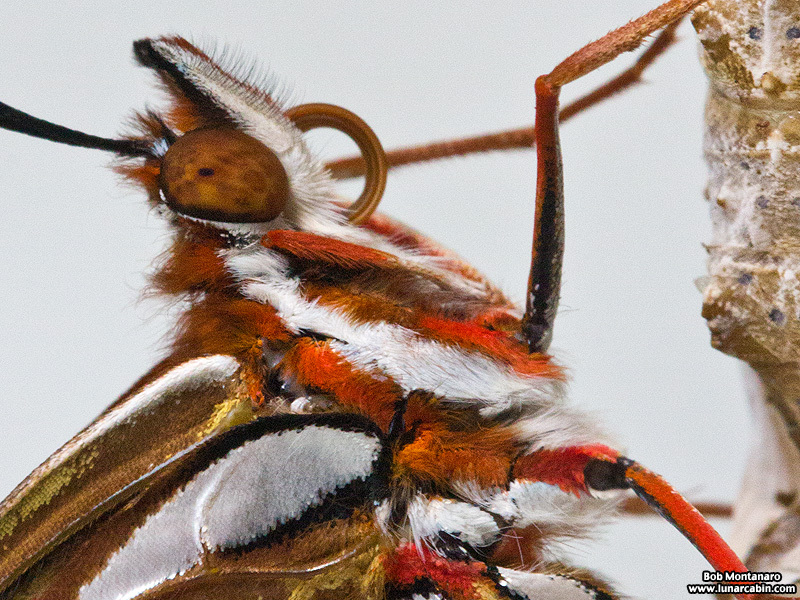 A close-up of one of the Gulf Fritillary caterpillars showing the defensive spines protruding from along its body. One of the caterpillars made its way to the railing along the paved walkway where it attached itself and made its pupal cases or chrysalis to protect it while it transformed into a butterfly. With so many people walking by or loitering on the walkway along the railing, it seemed the possibility of it being squished during its weeklong metamorphosis would be high. 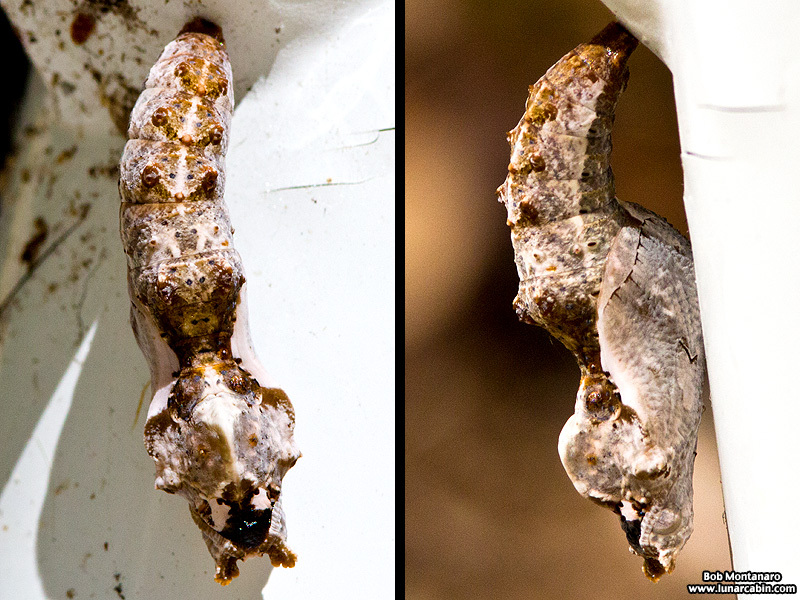 Here are two views of the pupa. Note the outward surface of the pupal case is marked where the spines on the caterpillar once were. 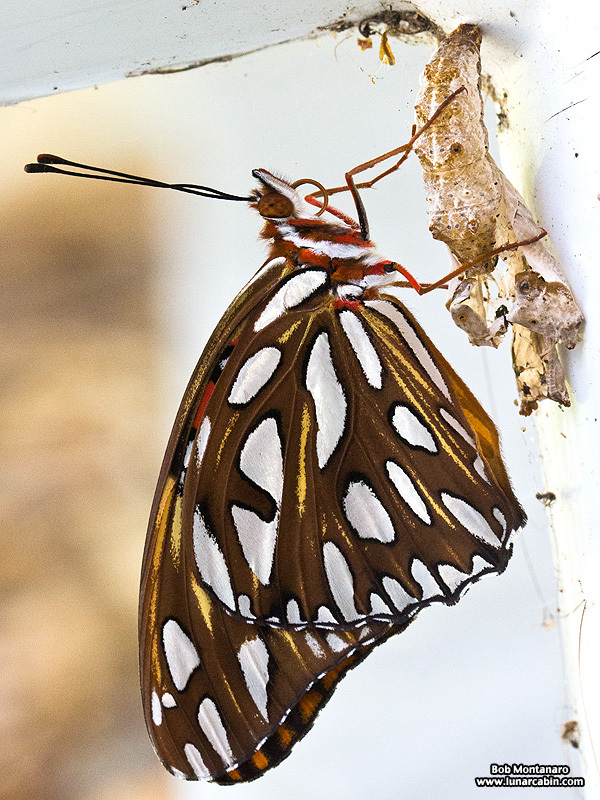 But, no, amazingly, the pupa survived and on Friday the Gulf Fritillary butterfly emerged. Closeup of the new born butterfly with its proboscis neatly rolled up. The fur is quite alluring. 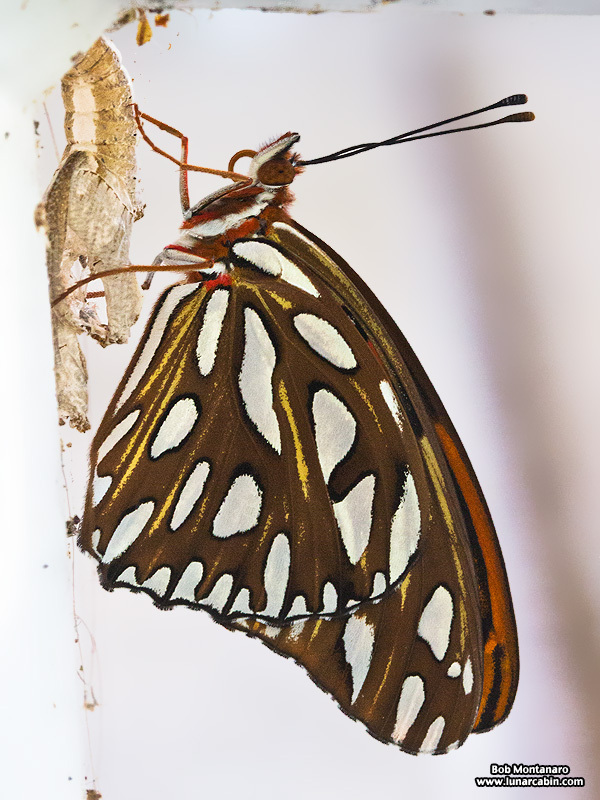 Gripping the remains of its pupal case, the butterfly stayed in this position for an hour or so before flying off to begin adventuring in its new life.